collaborates with Kechou (born Kerim Melik Becker) building live loops on the spot with hand- made instruments from different parts of Africa. The nomadic future folk duo reflects on simple sounds, the tonal emergence and decay of these sounds and the different elements of the universe that exist and are reflected within the soundscapes for their own meditations on decoloniality. 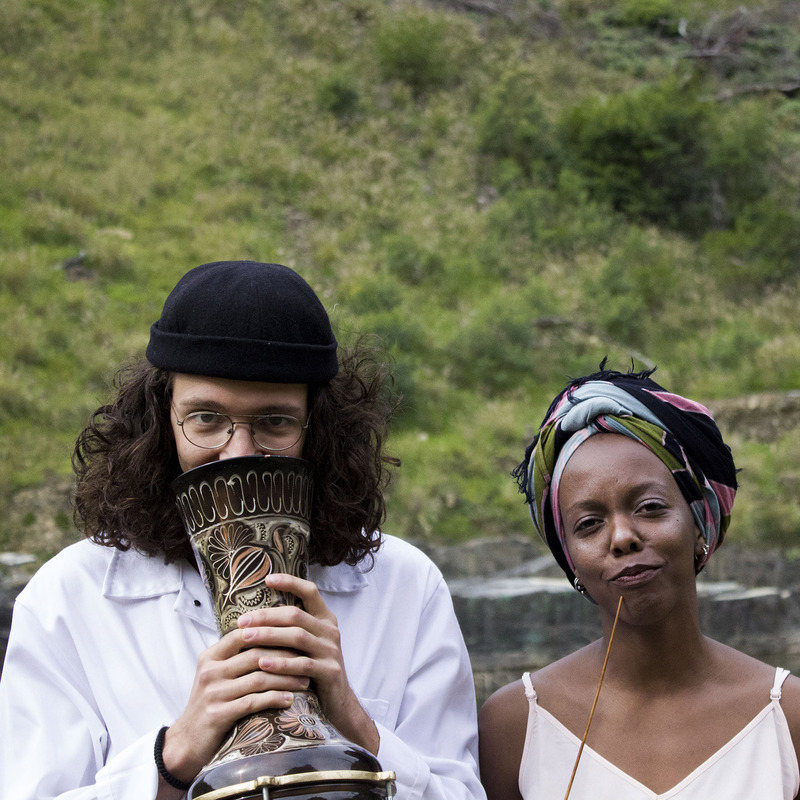 Together, they bend genres, re-presenting moments of protest, influenced by Xhosa lore, Arabic rhythms, dub flow, jazz and electronic experiments creating some liminal place not necessarily definable. This creates fertile foundations for rewriting our narratives to create transformations not just in the African context, but in making substantial contributions towards the global narratives, for necessary reflection and collective healing. Dumama & Kechou work with the following tools: Vocals; loop station; vocoder; guitar (hand crafted); multiple effect pedals; Uhadi; Chitende; Hand-made percussive instruments; synthesizer. Dumama has represented the duo at DAKART Bienalle 2018, OneBeat residency and Rocking The Daisies Festival.